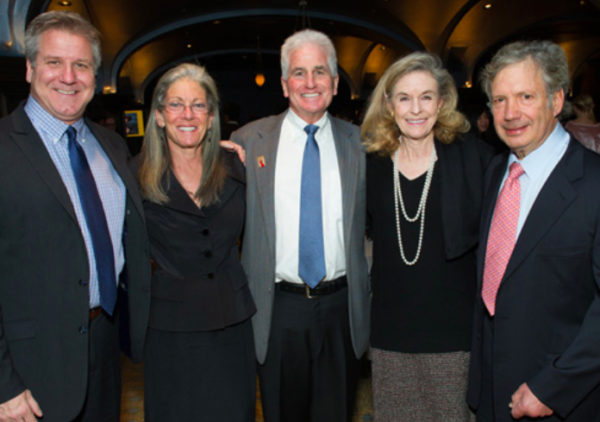 It was a wonderful evening at the San Diego Opera’s FUSION event last Friday. The FUSION event, hosted by the San Diego Opera, attracted industry leaders in the life sciences and high-tech industry for a networking event that was followed by an incredible opera experience. Among those who attended was Leland Sandler and The Sandler Group, who sponsored the event, along with Cymer, DLA Piper, and UC San Diego Health System, as well as BIOCOM, Cox for Business, Hub International, Sullivan Hill, and The Evans Foundation for Molecular Medicine. 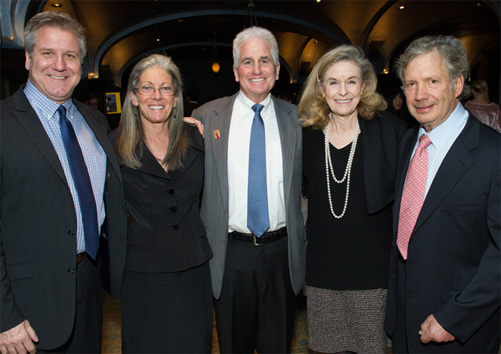 Left to right: The General Director of the San Diego Opera, David Bennet; Deb and Leland Sandler; Maureen and Dr. Thomas Shifton. The FUSION consists of two popular annual events from the last few years. One being the Life Sciences Live at the Opera, as well as the High-Tech Night at the Opera which is preceded by a networking event with like-minded business professionals. The opera, titled Tosca by Italian composer Giacomo Puccini played on the Friday night, and left many people impressed and in awe. “That was an incredibly exciting and compelling show and I think I wasn’t the only one who enjoyed it tonight.” remarked Leland. The Sandler Group and the San Diego opera have always shared a positive relationship, as the executive advising firm was a recipient of the Opera’s Corporate Council Hero of the Opera- Adventure of Advancement Award last year. That award acknowledged the firm for its work in leading the opera’s staff on a successful journey to create an environment of success. Leland Sandler has played, and continues to play a big role in the cultural transformation and is something he says will be proud of for the rest of his life. “Well, that was one of those cases where the staff just needed to regroup and re-energize. From an organizational standpoint, I am helping facilitate them becoming a more well executed and creative entity. But they are the ones that made it happen. The San Diego Opera is perhaps the premier regional opera in America, run by some amazing people with amazing staff, and it was a pleasure helping them out.” said Leland. The San Diego Opera, http://www.sdopera.org, is a widely respected member of the international community and an invaluable cultural resource to the San Diego region. With a mission to deliver exceptional vocal performances and exciting, accessible programs to diverse audiences, the San Diego Opera focuses on community engagement and the transformative power of live performance. The company announced it would close at the end of the 2014 season, and went through an overhaul in Board and Staff leadership. The decision was later rescinded by the company’s board of directors with the help of public support and donations, and developed a new strategy to broaden its presence in the community. The Sandler Group is a management-consulting, organizational effectiveness, and executive advising company that focuses on improving the business aspects of the global life sciences and technology communities. The Sandler Group executes its mission with the clear goal of installing a mindset of permanent excellence that will accelerate the senior team and trigger efficient and effective execution throughout an organization.